Welcome to the July 2, 2018 edition of ACM TechNews, providing timely information for IT professionals three times a week. Please note: In observance of the U.S. Independence Day holiday, TechNews will not be published on Wednesday, July 4. Publication will resume Friday, July 6. 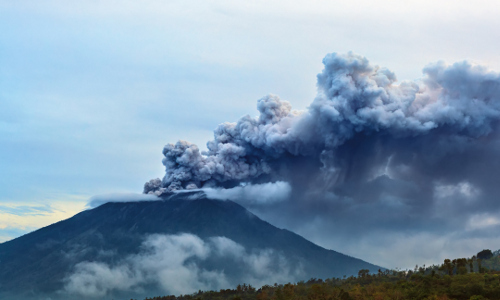 Tokyo Institute of Technology researchers have demonstrated that a convolutional neural network (CNN) can categorize volcanic ash particle shapes, providing complex information on eruptions and aiding mitigation efforts. Volcanic eruption mechanisms must sometimes be carefully evaluated by volcanologists to determine future threats and responses, but classification of ash by eye is slow, subjective, and limited by the availability of experienced volcanologists. For this work, led by the Tokyo Institute of Technology's Daigo Shoji, the program was fed images of hundreds of particles with one of four basal shapes created by different eruption mechanisms. The researchers trained the CNN to classify the basal shapes with a success rate of 92%, and assign probability ratios to each particle even for an uncertain shape. This may allow for greater data complexity in the future, enabling scientists to determine whether an eruption was phreatomagmatic or magmatic. As Europe seeks to compete globally in developing innovative supercomputer architectures, the Julich Supercomputing Center (JSC) in Germany has launched JUWELS (Julich Wizard for European Leadership Science), marking significant progress in a new generation of flexible, modular supercomputers. JUWELS ranked 23rd on the most recent TOP500 supercomputer list, making it the fastest German system. JSC's Thomas Lippert believes the modular design is critical to an affordable and energy-efficient technology that can aid forthcoming exascale systems. Lippert's adaptable design concept, known as "Smart Exascale," provides for a supercomputer with several specialized modules that can be dynamically and flexibly combined via software. The cluster module's Intel Xeon 24-core Skylake CPUs allow for a theoretical peak performance of up to 12 petaflops, which equals the approximate computing power of 60,000 PCs. The module has extremely energy-efficient hot water cooling, allowing it to cool the majority of the waste heat with hot water directly with the outside air without additional cooling generators. 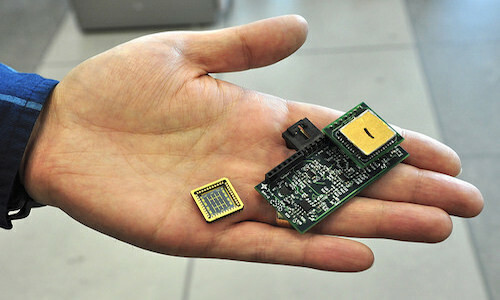 Next year, JUWELS will receive a booster module for massively parallel applications that will multiply computing power. The cluster module reached a computing speed of 6.2 petaflops in initial test runs based on the Linpack benchmark. Physicists at Chalmers University of Technology in Sweden have determined a speed limit on shifting the properties of light using specially designed materials, offering guidance for next-generation smart consumer devices. Analysis via non-linear dynamics ascertained that a different way of bypassing these limits using optomechanical metamaterials is required. Instead of controlling an entire surface at once, the interaction with light can be more efficiently governed by manipulating one particle at a time. Another solution is keeping the metamaterial in motion at a constant speed while measuring the variations from this movement. "The switching speed limit is not a problem in applications where we see the light, because our eyes do not react all that rapidly," says Chalmers' Philippe Tassin. "We see a great potential for optomechanical metamaterials in the development of thin, flexible gadgets for interactive visualization technology." A European Union-funded project is using big-data mining software to improve customer experiences at contact centers. The BIg Speech data analytics for cONtact centers (BISON) project has "used the complete portfolio of speech technologies, including both speech analytics technologies (speech transcription and keyword spotting) and voice biometrics in multiple European languages," says BISON's Marek Klimes. "This enabled our teams to cover diverse use cases in contact centers." Klimes also says the BISON solution can be applied in various ways, noting "you can unveil blind spots in contact centers that result in higher costs. To be more specific, we can tell you if contact center agents speak too fast, interrupt customers, or are having overly long monologues or even what the most common topic brought up during calls is." AnitaB.org, the organization behind the annual Grace Hopper Celebration of Women in Computing, has released its second diversity report. The report shows the group employs 27 white people, seven black people, seven Latinx people, 13 Asian people, 1 Native American person, three people of two or more races, and one person with an unspecified race. In terms of gender balance, the organization has jumped from 4.2% male in 2016 to 11% male in 2017. AnitaB.org's Brenda Darden Wilkerson says her goal is "broadening the tent," to allow women of all backgrounds, including socioeconomic, ethnicity, sexual orientation, ability, and age. 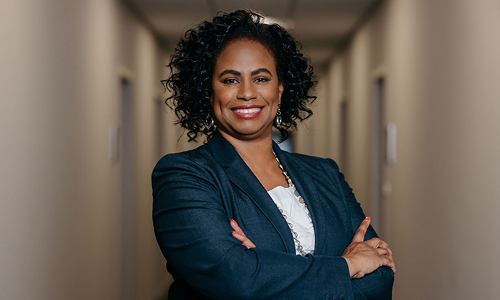 Broadening the tent specifically includes focusing on women of color founders, she says, noting that a recent digitalundivided report shows black women have raised just 0.0006 percent of all tech venture funding since 2009. The organization's inaugural PitcHER startup contest this September will include startup companies coming from women of color. 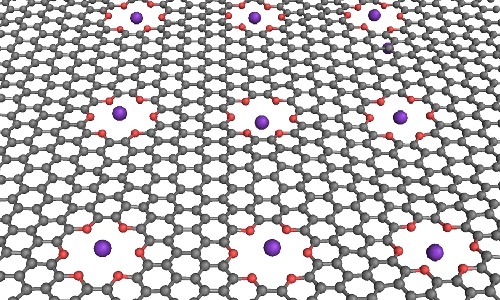 U.S. National Institute of Standards and Technology (NIST) researchers have shown how computational logic operations could be performed in a liquid medium by simulating the trapping of ions in graphene floating in saline solution. The new ion-based transistor and logic operations are simpler in concept than previous proposals. The simulations show that a special film immersed in liquid can function as a solid silicon-based semiconductor. "In addition, the same exact device can act as both a transistor and a memory device—all you have to do is switch the input and output," says NIST's Alex Smolyanitsky. In the NIST simulations, the graphene was suspended in water containing potassium chloride. The crown ether pores were designed to trap potassium ions, which have a positive charge. Simulations show that the trapping and penetration of a single potassium ion in each pore can be tuned by applying different voltage levels across the membrane, creating logic operations with 0s and 1s. The just-launched Unitary Fund is offering grants of $2,000 to projects developing open source quantum software for near-term, hybrid quantum-classical programming, with applications open to any project that "will benefit humanity that leverages near-term quantum computing." The fund is underwritten by contributions from Lookout founder John Hering and Rigetti Computing's Nima Alidoust. Rigetti's Will Zeng says the fund's goals are to "fill in some of the gaps in institutional funding," surmount obstructions to entry, and encourage more researchers to focus on quantum programming. "The fund is focused on open source quantum software as this is an area where big challenges and lots of experimentation are needed and also an area that can be more inclusive and accessible," Zeng notes. "Small teams can make a big difference." Engineers at Simon Fraser University (SFU) in Canada have developed ultra-sensitive accelerometers that are capable of capturing the most minuscule seismic activities. The new devices measure how tiny "seismic mass" comprised of silicon is displaced, due to external vibrations. The sensor can measure seismic mass displacements in the order of 1/10,000th of the diameter of a hydrogen atom. "The sensitivity of these devices is such that they can pick up the pressure waves produced by an earthquake before it strikes," says SFU's Behraad Bahreyni. The SFU team started out developing the accelerometers as a solution to make underwater sonar systems more compact and cost-efficient. However, they quickly realized that the high-performance, micro-machined accelerometers could have additional applications in detecting sound waves. Cyberattackers can identify which websites users visit and reroute them to scam websites by abusing security weaknesses in the LTE mobile telephony standard, researchers at Ruhr-Universitat Bochum in Germany have found. They determined all devices using LTE or 4G are affected, and the weaknesses, which are impossible to close, are still present in the upcoming 5G mobile telephony standard. Under the 4G and upcoming 5G standards, the payload transmitted via LTE is encrypted, but its integrity is not verified. "An attacker can alter the encrypted data stream and reroute the messages to his own server without alerting the user," warns Ruhr-Universitat Bochum's David Rupprecht. He also notes attackers can use special equipment to intercept the communication between the phone and the base station, and reroute the user to a fake website by altering the messages. Girls Who Code has recently unveiled a new agenda to promote their efforts to close the gender gap in the computer science and engineering fields. The new strategy includes recommendations for lawmakers and officials to help the nonprofit toward its goal of boosting the number of women in the tech industry. The recommendations ask schools to encourage girls to take science classes at an earlier age, and the workforce to better provide support for women already in the tech industry. "Deepening girls' experience with computer science during the junior high grades can impact a girl's journey from high school into her future career," says the Girls Who Code agenda. In addition, the organization is calling for better tracking and data on computer science participation in school, and exposing young students to more women in the technology industry. Furthermore, Girls Who Code is calling for better funding to offer professional development help for women in technology. As scientists work to improve robots' ability to walk on challenging terrain, University of California-Berkeley (UC Berkeley) and Carnegie Mellon University laboratories have enabled a robot to walk dynamically on stepping stones, using recent advances in optimal and nonlinear control systems. 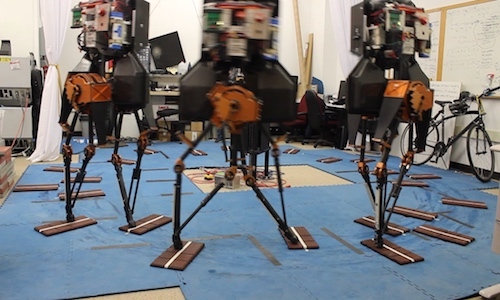 The Hybrid Robotics Group at UC Berkeley, formerly at Carnegie Mellon, believes this is the first time that dynamic walking on stepping stones with simultaneous variation in step length and step height has been successfully demonstrated on a bipedal robot. In experimental tests of their control algorithms on the ATRIAS bipedal robot platform, the researchers achieved dynamic walking over stochastically varying discrete terrain with step lengths between 30 and 65 centimeters and step heights of up to 22 centimeters. As part of the next phase, the researchers plan to give the robots information about their surroundings by incorporating computer vision algorithms into the controllers. The research has many potential applications, including exploration of unmapped areas and search and rescue missions. In addition, the methods could be used in robotic devices that augment humans, such as lower limb exoskeletons. Researchers at the Technical University of Darmstadt (TU Darmstadt) in Germany envision the application of machine-learning artificial intelligence to precision farming in the worldwide battle against hunger. They believe this method could help boost crop yields in regions of equal or smaller size. "First of all, we want to understand what physiological processes in plants look like when they suffer from stress," says TU Darmstadt's Kristian Kersting. "Stress occurs, for example, when plants do not absorb enough water or are infected with pathogens. Machine learning can help us to analyze these processes more precisely." Kersting's team is training self-optimizing software that can find stress patterns faster via deep learning. They think that eventually cameras can be deployed along rows of plants on an assembly line in the greenhouse, with the software flagging abnormalities at any time.